It’s Maaaayyy and that means weekends in the Hamptons are officially HERE! But where is our restaurant recommendation for the month? An old favorite; The Harvest on Fort Pond. 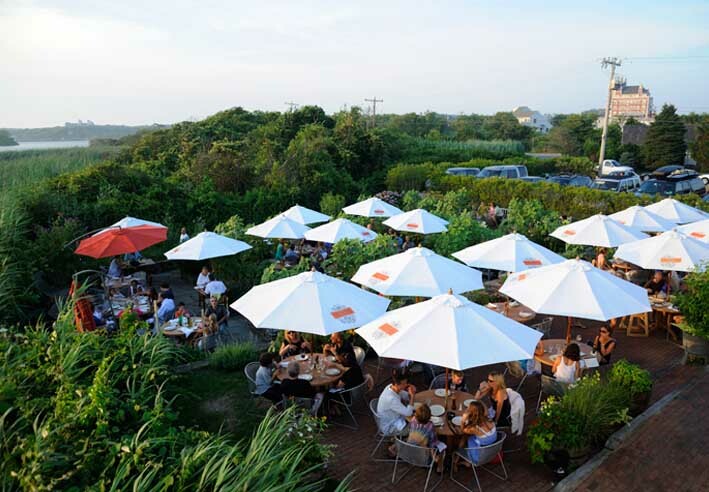 The Harvest has a delicious seasonal menu and is perched on the famed Fort Pond in Montauk. Based on the traditional cuisine of the Mediterranean, Chef Jake Williams has curated a menu that incorporates influences from France, Spain, and Turkey, while actually “harvesting” fresh vegetables and herbs from the restaurants own supply to ensure that each dish is presented as freshly as possible. As expected, fresh daily specials are always available, but there are of course some impeccable classics that we at Hamptons to Hollywood LOVE. So, what to order? Starting off, Grilled Portobello with Crispy Goat Cheese and Mixed Greens – not only is it the perfect way to tease your palate for what’s to come, but the goat cheese seals the deal. Delish. But what about something to wet your whistle? 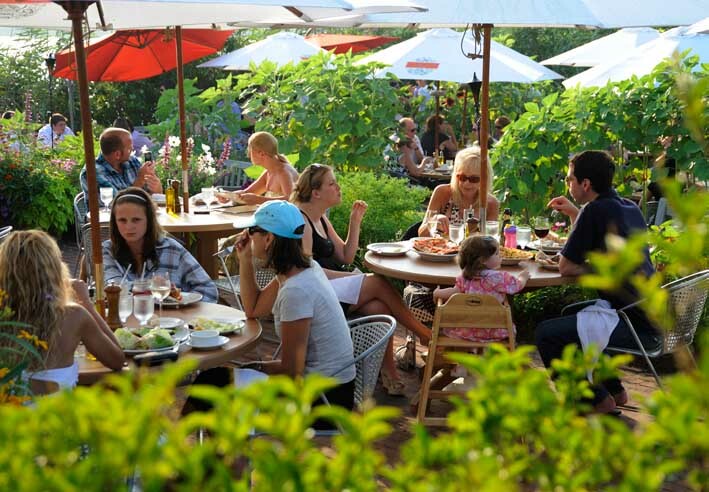 As most Montauk restaurants feature local wines and brews, The Harvest is no different, but the Harvest Sunset and Harvest Gin Garden are two of our favorites from their specialty cocktail menu. Next up, for hors doeuvres, the oysters are a must. 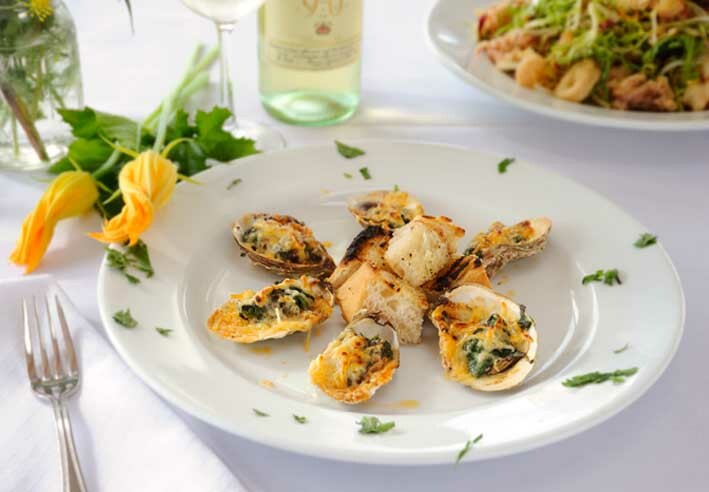 Prepared with Spinach, Parmesan Cheese, Chipotle Garlic Butter, they’re char broiled to perfection and are absolutely delectable. Seriously, you may need to order a plate just for yourself because of their addictive properties. Savory has never been more apparent. 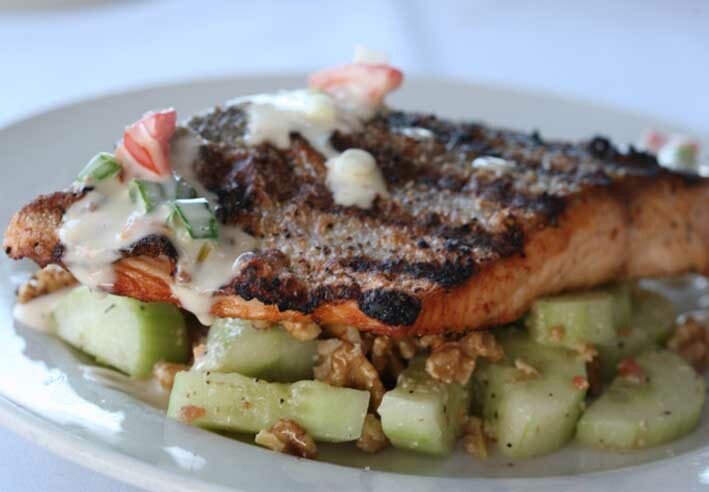 We’re going to give you two options for your main course; the Grilled Salmon with Cucumbers, Dates and Walnuts and the 16 oz. Corn Fed Skirt Steak, Arugula, Red Onion, Manchego, Roast Garlic Tomato Butter. Whoa. Okay. Seafood lovers can rejoice over the salmon. In true Mediterranean style, the combination of cucumber and dates adds the perfect crisp freshness to the dish, while also adding a sweetness from the dates that complements the savory-ness of the salmon oh-so-perfectly. What’s more, the walnuts add just the right amount of crunch you never knew you wanted. And of course, the fish is moist, and fresh, because c’mon, this IS Montauk after all. The steak is just as great and is a hearty meal that will fill you without leaving you feeling bloated. 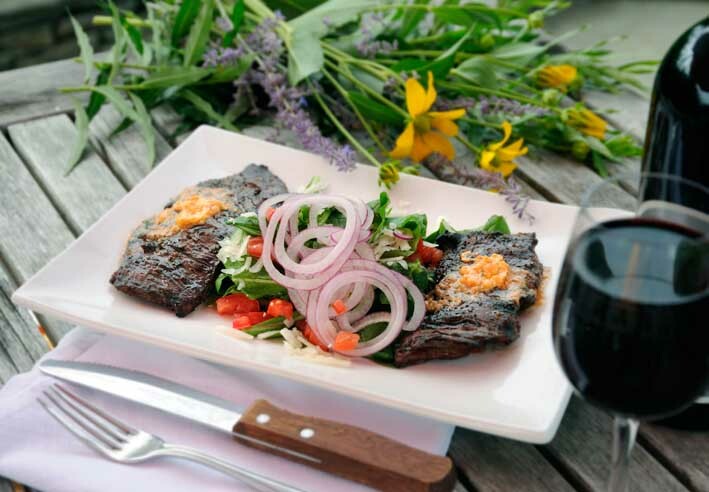 The arugula adds a welcome peppery accent to the steak without having it being over-seasoned, while the onion, manchego, and garlic butter boosts its flavor profile to the nth degree. Super satisfying, this dish gives a whole new meaning to what it means to have a steak dinner. We recommend ordering it medium-rare. The Harvest’s Fudge and Raspberry Coulis is just beyond anything you’ve ever put in your mouth. A flourless chocolate cake that, if not shared appropriately, could end friendships if someone receives a bigger piece than another person. Dense, chocolatey, and rich, the flavor alone makes you feel like royalty. 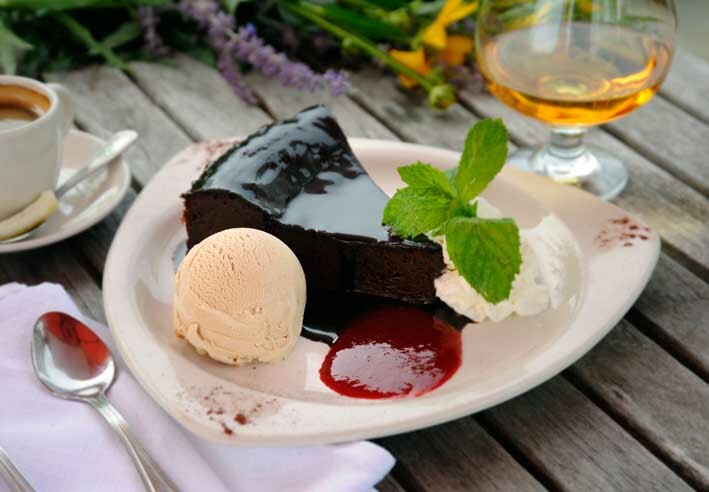 Paired perfectly with the raspberry sauce and a scoop of gelato? Fugeddaboutit. Go home. Show’s over. You just ended the meal in the most perfect way. The Harvest is open 7 days per week, starting to serve dinner at 5pm. 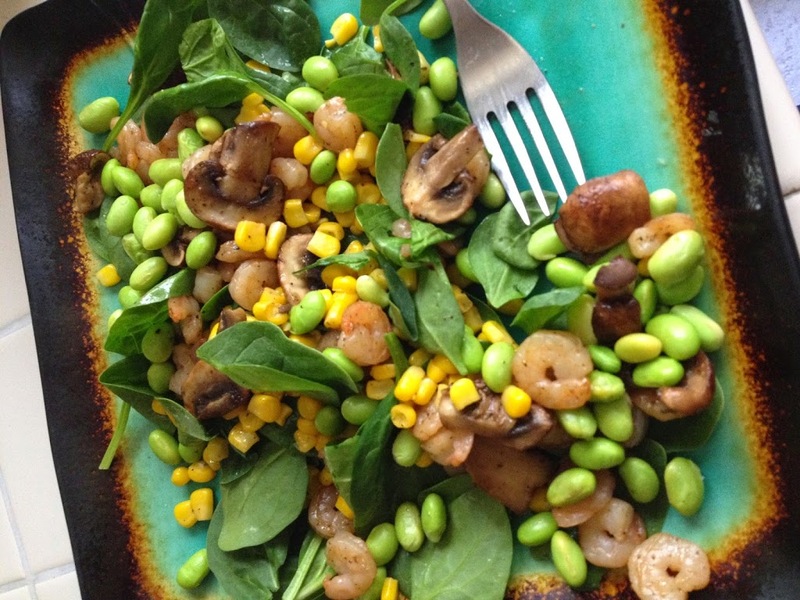 Best of all, locals can enjoy the cuisine year round as well. 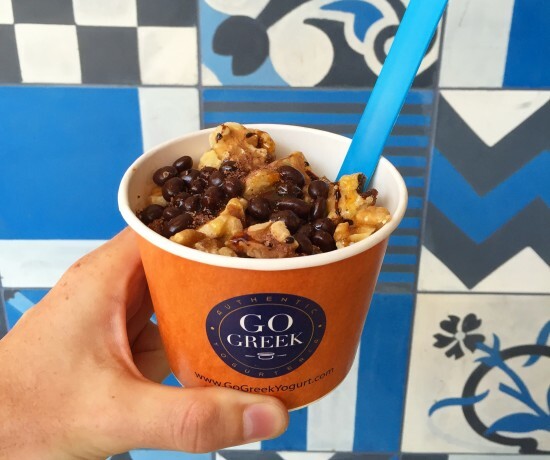 Start the summer right with a trip to this Hamptons staple.